The Tao of Gini: YOU are WELCOME! already, I get to add all of yours to the mix. But it's all good. where our swimmers have grown accustomed to "borrowing" their towels. is a towel, when you get out of a 2 hour practice, I suppose. So thank you. 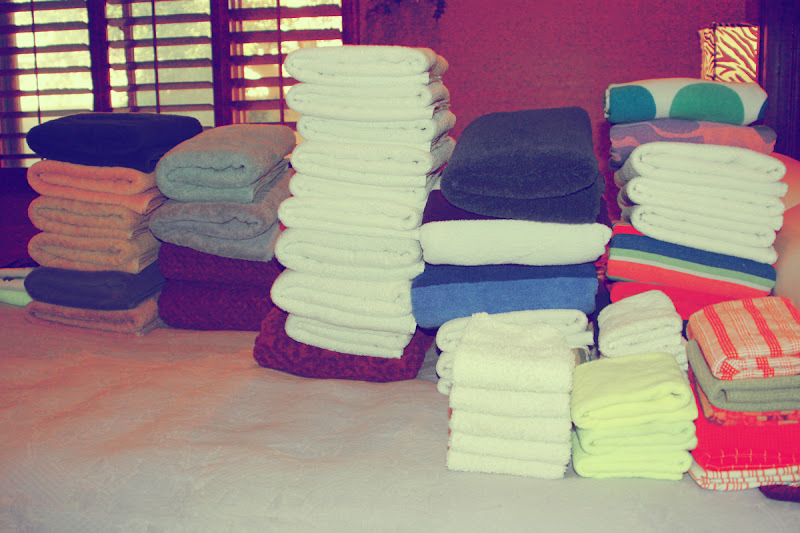 the proud owners of OUR towels. Mind you, they are our NEW towels. had just about forever, still make it back to my house? Not my good ones? See you at the next swim meet with your towel wrapped around one of my kids. Have a good day. Happy Laundry. that's a lot of effing towels. Top right, we can claim that one !! ha ha, just kiddin' !! !